“Water is the enemy!” has been the creed of field workers for years, seeking to protect their companies’ investment in smartphones. Despite these efforts, cellphone repair is still a $4 billion industry. The smartphone industry first sought to help mobile workers in tough environments with two standards: IP67 and IP68 Certified. These technical specifications indicate that a phone is defended against water to some degree — that it has “ingress protection” against the elements. Lately, IP68 has risen to the fore in the commercial market, and now a new, even more rigorous level of protection also has come into play. Military specifications, or MIL SPEC, has set a higher bar for endurance and durability across a range of metrics. To better understand the variety of rugged devices available, it helps to envision a three-tiered marketplace, with devices that are either not water/dust resistant; those that are IP68 compliant; and those are both IP68 and MIL SPEC compliant. Consider the non-ruggedized mobile device. Stylish, yes. But don’t get it wet, or drop it, or expose it to dust. There is nothing inherently wrong with a device that is not water- or dust-resistant. These versatile machines keep the wheels of commerce turning, enabling enterprise users to stay connected and productive in remarkable ways. 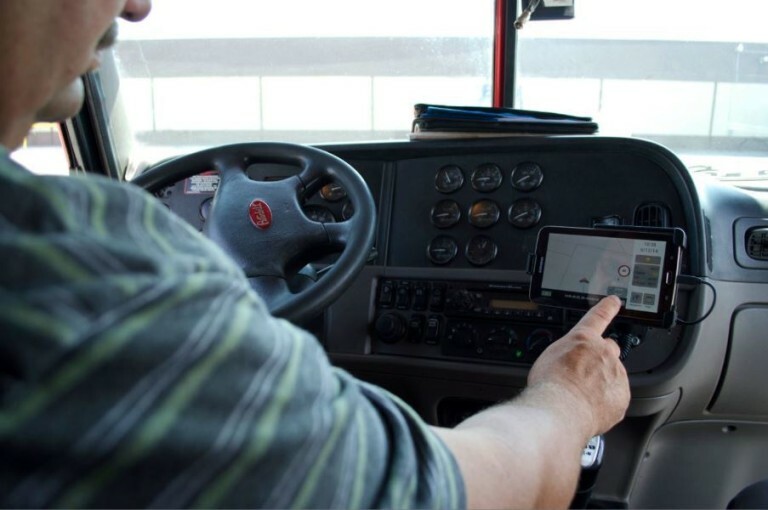 Learn how the trucking industry can benefit from longterm durability of tablets. Not everyone needs a rugged device. The desk-bound worker with a predictable commute and a reasonably firm grip can get by just fine. But mobile devices today increasingly need to be ruggedized, as the range of use cases expands. Field workers need devices that can stand up to rough handling and exposure to the elements, as do public safety officials, military personnel, construction and warehouse workers. It’s a sizable list and it continues to grow – which is why we see a rise in devices at the IP68 and MIL SPEC levels. IP67 was an early response by industry to address the growing need for a certification that would describe a phone’s durability. The standard describes devices that are water-resistant, though not waterproof. In practical terms, this means accidental exposure in small doses probably won’t hurt it. You could expose the phone in a gentle rain, but you wouldn’t want to leave it out in a storm. However, this standard has been largely superseded by the more rigorous IP68. This standard defines an even greater level of water-resistance. In general, it refers to a device that can stand being submerged at least a meter down for a sustained period without negative effect. IP68 has proved a powerful indicator for many use cases. While the standard doesn’t declare a phone to be indestructible, it does ensure a certain degree of heartiness. Some users, though, have sought an even higher grade of protection. The U.S. military in particular needs an even more rugged specification, as it deploys increasing numbers of mobile devices onto battlefields and into other highly challenging conditions. Hence the rise of MIL SPEC. The Samsung Galaxy S8 Active offers an example of a commercial phone, aimed at the enterprise market, that rises to the level of both IP68 and MIL-STD-810G, the military standard for ruggedness, durability and overall survivability. Developed by the U.S. Department of Defense, military specifications describe a rigorous level of testing. Devices are subjected to a range of conditions, including low pressure, extreme temperatures, water, dust, shock and even solar radiation. Temperature tests for the Galaxy S8 Active ranged from +63°C to -40°C. A shock test subjected devices to a minimum of 26 drops from 4.9 ft. Samples were exposed to dripping water for half an hour, and to 72 hours of settling dust. As enterprises with field workers deploy smartphones under increasingly perilous conditions, many are turning to the military specifications as a guide. If a phone can endure battlefield conditions to the satisfaction of the Defense Department, that serves for many as an indicator that such a device will be able to withstand the rigors of field service. For many enterprise IT leaders, a phone that is both MIL SPEC and IP68 certified will offer an even higher level of reassurance when it comes to protecting their hardware. Get a look at Samsung devices in the field and see how they’re helping military personnel.